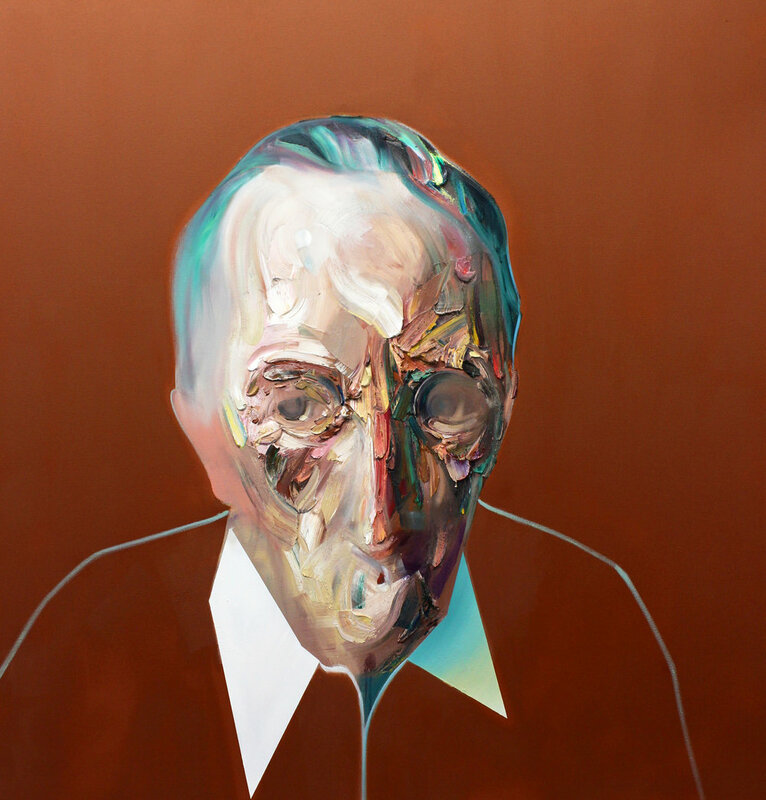 Ryan Hewett imbues his portraits with pathos. 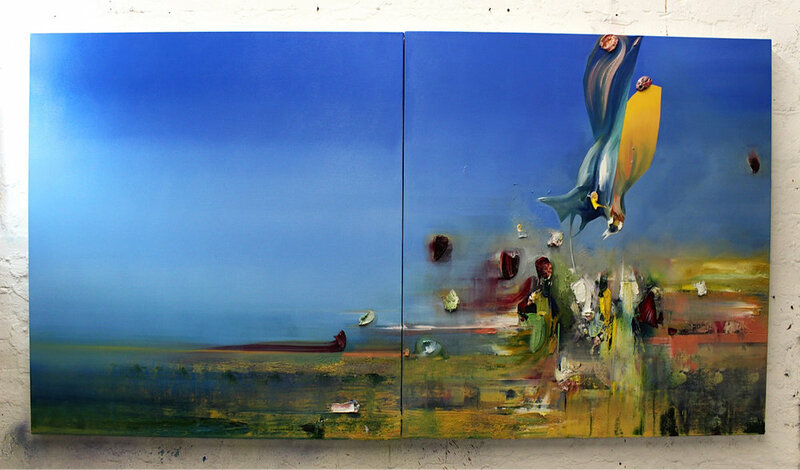 Although the South African artist is reluctant to assign any intent or overt meaning into his works, they’re absolutely brimming with mood. It might be hard to say just what that mood is – given that familiar facades are obscured by swirled brushstrokes and layered texture – but it’s unmistakably there. Where many artists might settle for similarities and caricatures, Hewett’s portrait work dispenses with simplicity in favor of nuance. Considering his status as a self-taught artist, Hewett’s already-stunning skills are made even more impressive by his singular accomplishments. Despite dabbling in illustration when he was younger, the 38-year-old artist only began painting when he was 23. For Hewett, the challenges of artistry didn’t lay in self-expression and renewal; as the development of his work shows, he’s quite comfortable with both. With his remarkable talent and capacity for change already established, it would be breaking into a world dominated by connections and colleagues that would prove challenging. Even if he may disagree with them on the merits of his work, Hewett is grateful to have an audience to begin with. One of his first big breaks came in the form of Joe Kennedy and Jonny Burt, the pair behind London-based art gallery Unit London. The duo endorsed and propagated Hewett’s work, helping him to build a larger audience. Hewett’s work is now in high-demand, freeing him to work and hone his craft in a manner unconstrained by commercial considerations. Looking back on his artistic arc, Hewett admits to being occasional bewildered by the direction of his career and his compositions. Even with a cleaner studio, it’s possible that might not be the case for long; with Hewett, nothing is stagnant. According to Hewett, he hopes to continually regenerate and diversify his approach to art, as he’s unsettled by the prospect of a monotonous or repetitive style.